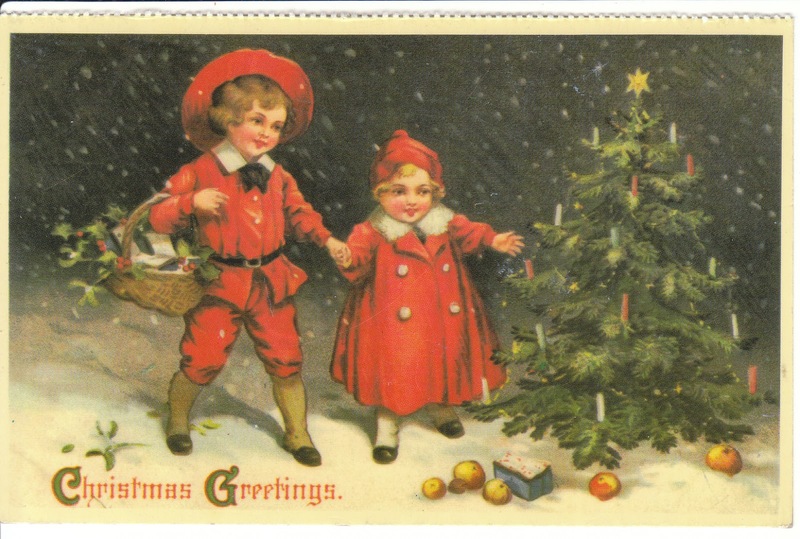 Please remember your favorite local and online small businesses today as you enjoy your holiday weekend. 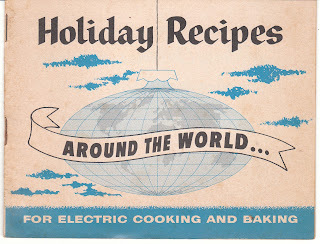 I have a 25% off sale running all weekend, through midnight on Cyber Monday (November 30). 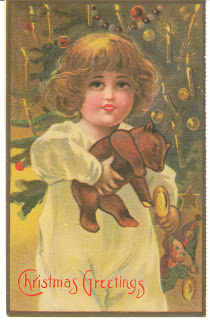 I also have many new Christmas arrivals in my store ... with more Christmas items added the next couple of weeks. 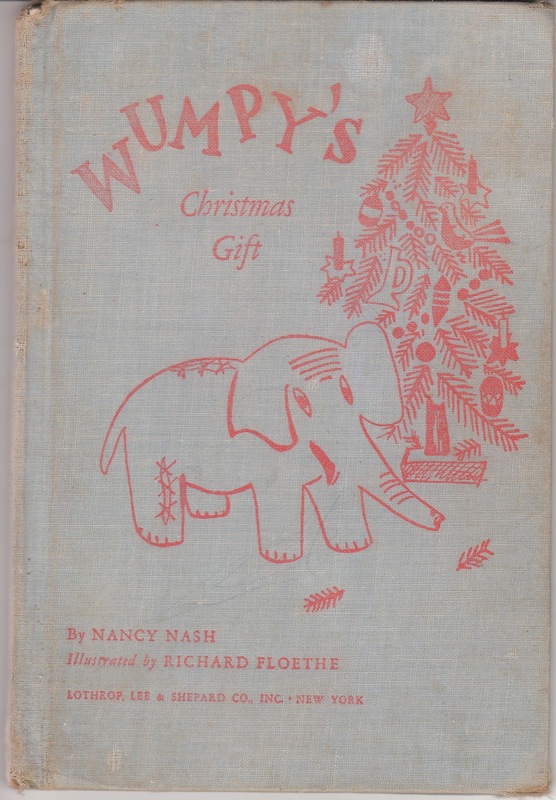 You will find all these unique gifts at Birdhouse Books on eBay. 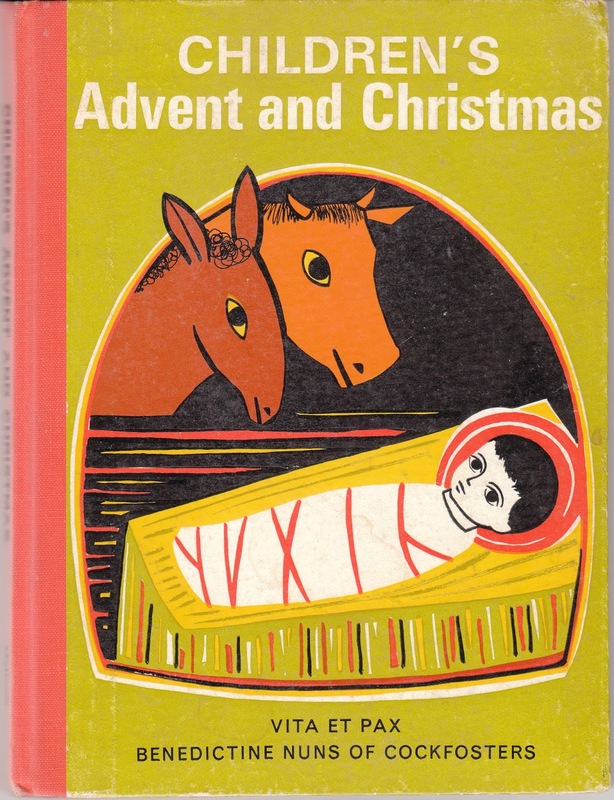 Children's Advent and Christmas is a rare 1966 vintage book by Vita Et Pax. Mortimer's Christmas Manger is a picture book about a little mouse who discovers the real meaning of Christmas after he takes up residence in a manger. 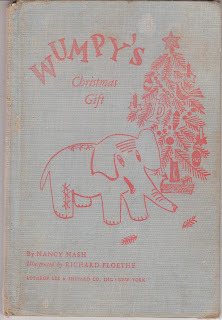 It was written by Karma Wilson and Jane Chapman. 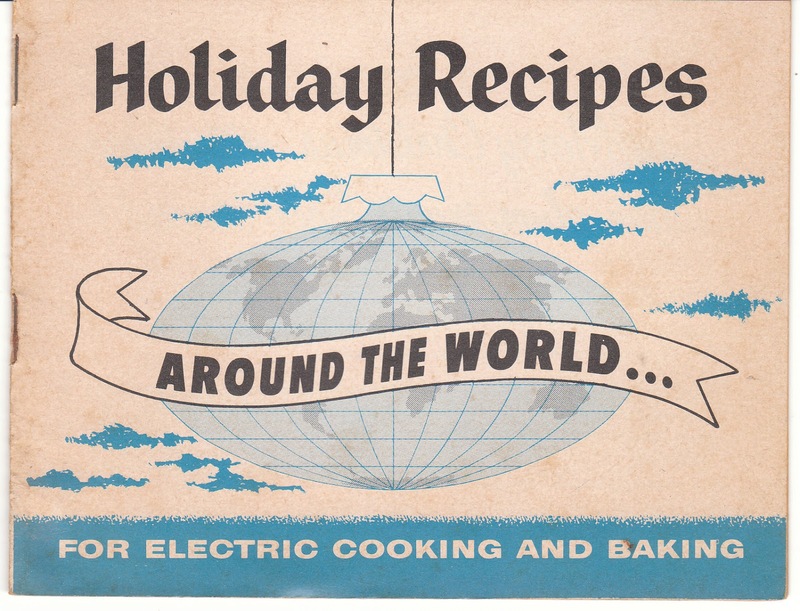 Holiday Recipes Around the World for Electric Cooking and Baking is a cute 1960 vintage cookbook booklet. The Little Drummer Boy is a DVD of the classic children's special by Rankin Bass. This Christmas postcard features a little boy and girl discovering a tree with candles and fruit outdoors. This Christmas postcard features a little boy and girl with a snowman who holds an umbrella. 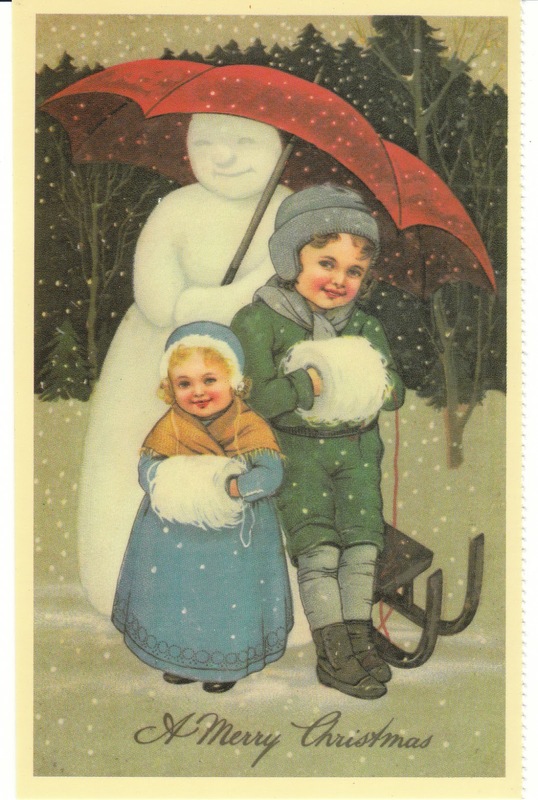 This looks like an Ellen Clapsaddle illustration. This especially sweet Christmas postcard features a little girl with an old fashioned teddy bear. 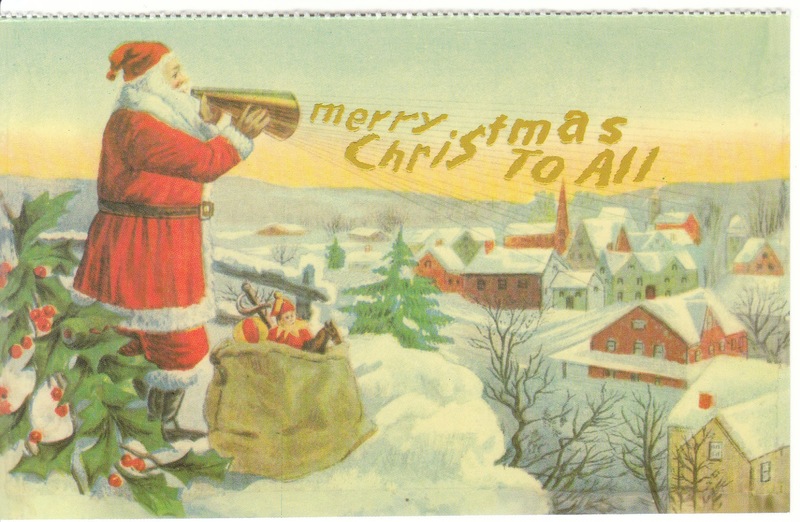 Santa Claus wishes a village a Merry Christmas with the help of an old fashioned megaphone on this postcard. 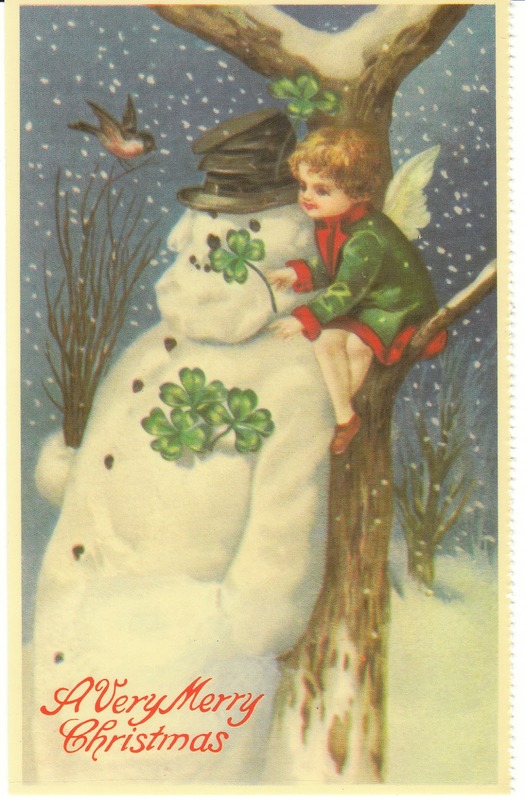 A sweet little girl puts shamrocks on a snowman on this charming Christmas postcard. 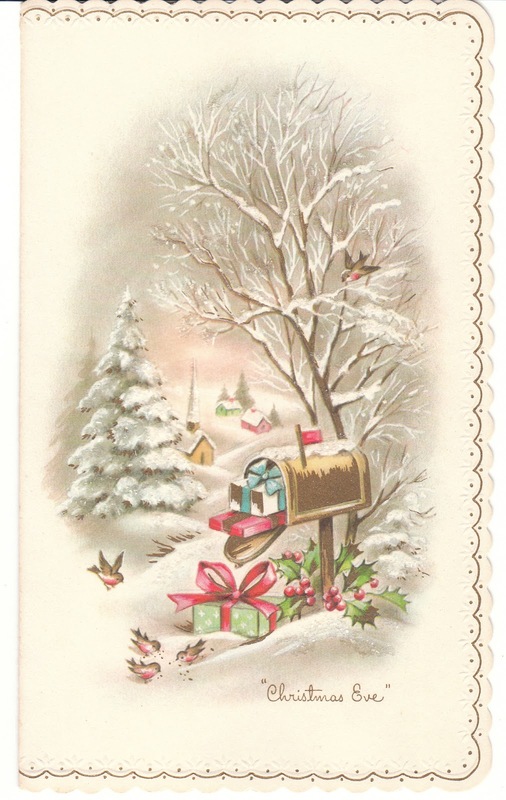 This Coronation Collection vintage Christmas card features a mailbox full of wrapped gifts. 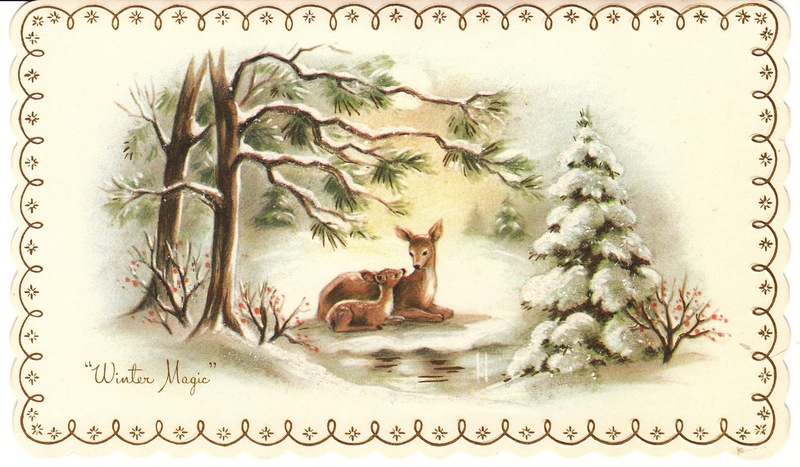 A sweet mother deer and her fawn rest in the woods on a snowy day on this vintage Christmas card. 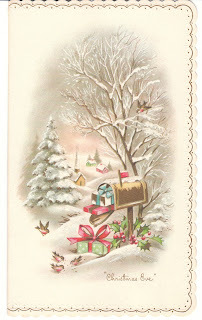 I hope you've found some treasures here, and hope you'll visit my store as well: Birdhouse Books. Have a wonderful weekend! 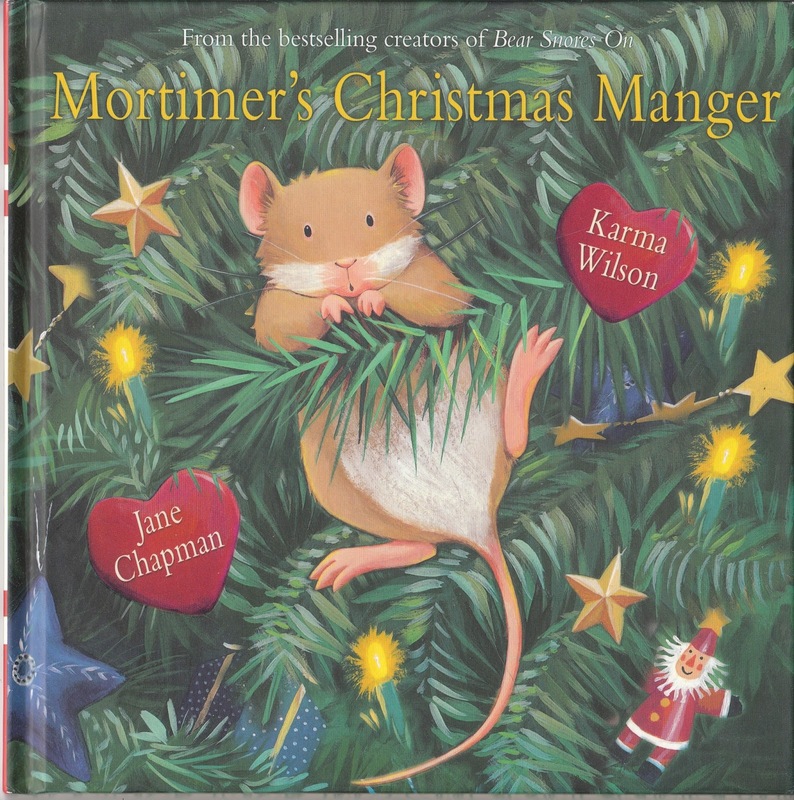 We always try to support local family run businesses and more recently online ones such as Birdhouse Books. It is so important that we do this. The customer service we receive is far superior as the small/local business matters to the people/families that own & operate them. 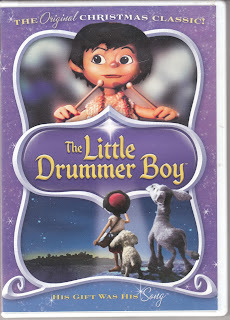 It is far more than selling a product, it is a part of them. I encourage everyone out there to show some support to these hardworking folks this holiday season! I feel the same way about small businesses, and always try to support them, both locally and online. I agree also that small business owners tend to put their heart into the business in a special way.